Loading... Developed By Microsoft Corporation | (Version 8.18.0.6) | 28th of March, 2018 | (100% Clean – Tested). 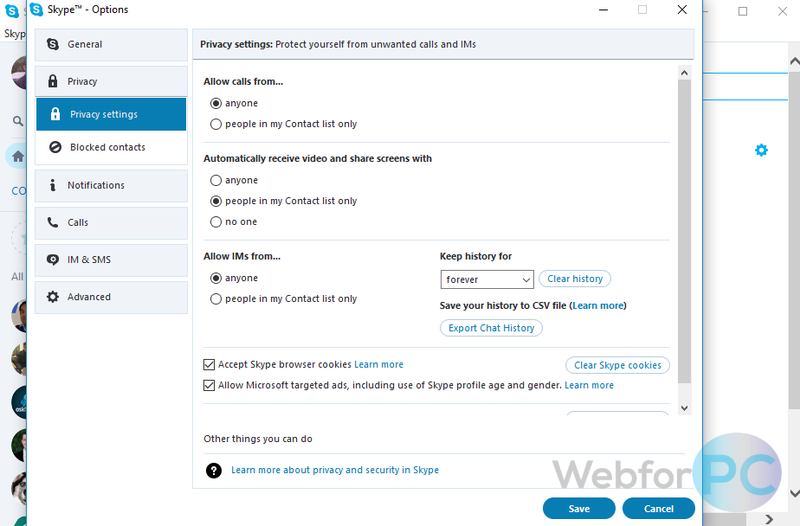 Skype 2018, version 8.18.0.6 (Offline Setup for Windows PC) introduces some quality enhancements like bettered screen sharing with audio, improved media transference, interesting chat characters and broad support for Windows 10, 8, 8.1 and 7 users. 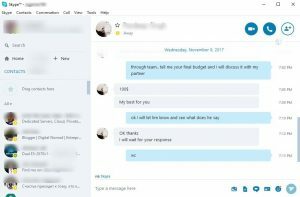 Editor’s Note: Skype is a highly venerable communication program, and the new version is brimming with all-new audio enabled screen sharing facility, lively chat, steady voice, and videos calls along with tons of other enthralling features. It is a complete package with all those riveting features in a single pack. The program is pretty easy to use and customizable. Above all, it is free either for personal or business use. However, it can not replace the phones as it runs over the internet and the data charges are applied while calling landline or mobile number. To put in a nutshell, Skype is all that you need for your social life.
. Setup Size: 57.66 MB. Skype is an exceptional communication tool with slightly beyond the necessary utilities, that are in use to get in touch with the friends, family, employees, and colleagues, etc. It is a commendable social platform with the abundance of features adding up to afford the extraordinary social life over the internet. Microsoft account can be used to enjoy Skype services. It allows free calls to Skype connections all over the world, absolutely free for Skype to Skype voice and video calls or even group calls (conferences) but, only over the internet. In the absence of internet skype may cost the data charges. With skype it is feasible to make calls to phone numbers; however, it charges the local/international calling rates. The package saves you from the hassle of roaming services, buy a Skype number and your friends and family can reach you via Skype while you are away or on an international trip. With skype number, you can answer the calls from all the personal devices like tablets, iPads, etc. 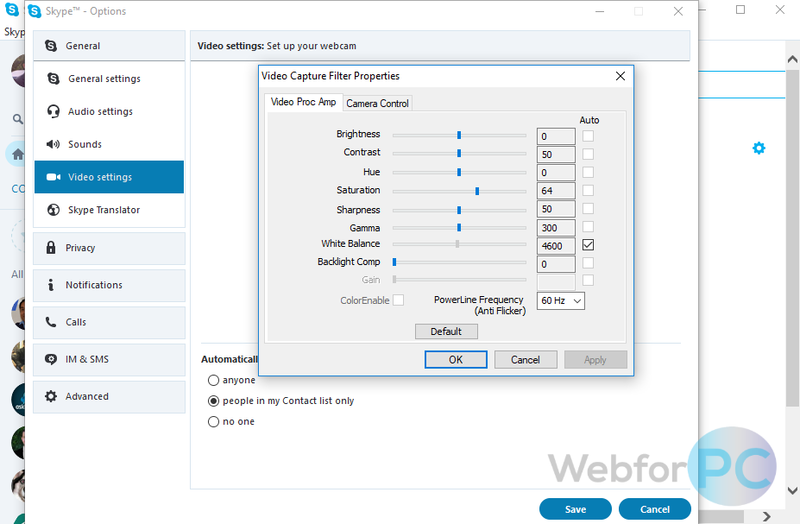 The new version of Skype is taking it a step ahead of the conventional telecommunication tools; it has a new improved and well-designed interface. 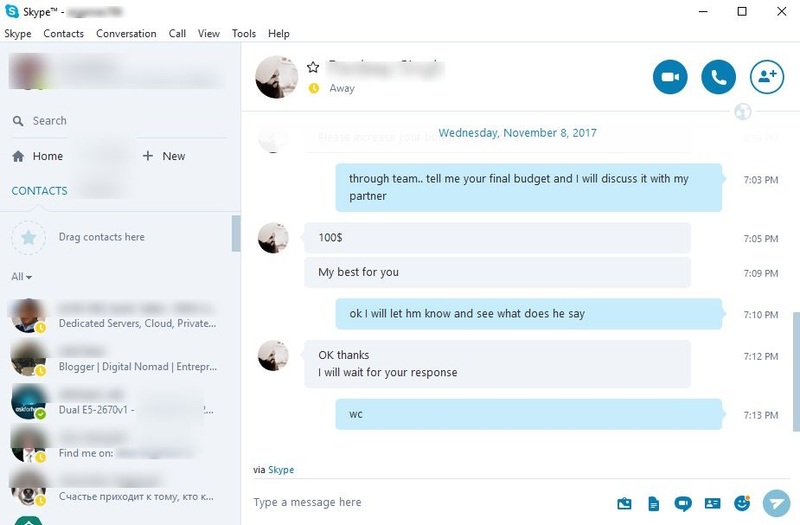 Skype empowers its user to customize the visible layout by adopting the tone of their choice. With Skype, text messaging is not a big deal while expressing the sentiments, using GIFs, stickers or emojis to articulate the feelings. 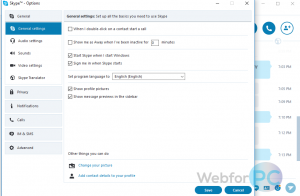 Skype quickly enables you to share photos, videos, and other files. It also allows the video calls, let it be face-to-face or group video call; the choice is yours. It is possible to add up to 25 people to the groups and share files or talk to them concurrently. Free Video & Voice Calls. Paste Screenshot to IM Window. Requires a Strong Internet Connection. The fresher version of Skype is not your typical messenger; it is equipped with advanced technologies and dynamic features. It goes along with sharing very well, with this software you can even share the screen of your device with the other person while hearing all the audios, even group screen sharing can be enabled quite conveniently. Access Skype from anywhere and let others reach you through the platform too. Another complimentary feature is, it enables you to add a Skype button on the website or blog, which may be a practical step towards collaborating with your customers. 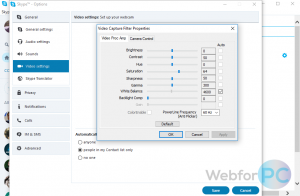 Anyone can reach you by using skype button from your website or blog page. Taking social life beyond the limits, the UI has a translator which provides the mean of communication worldwide no matter what is the medium of communication; translate calls or messages from any language. Wel! Windows 10 anniversary update or higher is now already armed with Skype software, ready-to-use saving the user time of downloading it. The astonishing fact about this messenger is, it can now be added to the browser for quicker sharing, merely add skype extension to the browser and share the links in real-time. However, Skype offers a professional account as well adding the cherry on the top, to provide the facilities required by the corporate environment for communications with progressive features. With skype professional account it is possible to manage the business meetings via Skype. Share photos, Videos, and links also share the screen with the other users. Directly share links by adding skype extension to your browser. Use the new highlight feature to add snaps and share them with friends and family, and they stay on top for seven days. Share critical information to your conversation and even buy concert tickets over skype. Enjoy free skype to skype video calls and voice calls or add up to 25 people to group calls and share files with them conveniently. Call mobile or landline through skype, but it is not free of cost, the network charges apply to avail this facility. Buy skype number and use it as contact number while being out of the country, available in 23 different countries. Use GIFs, emojis, and stickers to bring life to the conversations. 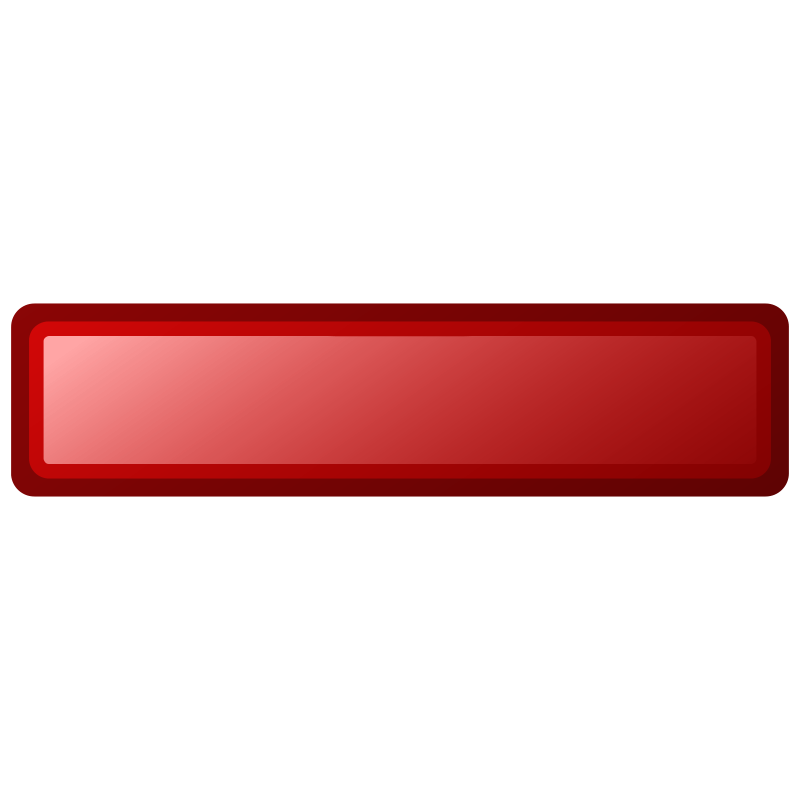 Customize the layout of your communication tool by using the color of your own choice and never get bored. 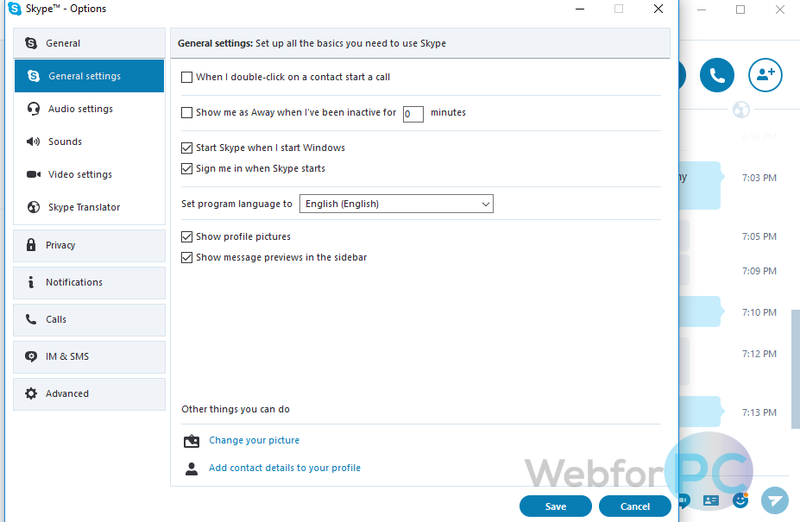 Add skype button to the blog or website you own and let people connect directly with you via Skype. Download the offline installer setup for Skype 2018 version 8.18.0.6 (suitable for both 32-Bit and 64-Bit system architectures), here.